With proper care and maintenance, an Amana refrigerator can last for many years, but when that refrigerator breaks down, you want to get it up and running as quickly as possible. Fortunately there are some common sense troubleshooting steps owners of Amana refrigerators can take to check the condition of their appliances and resolve common problems. While some major problems do require the assistance of an appliance repair technician, others can easily be fixed without such help. Check to make sure power is flowing to the appliance. If your Amana refrigerator does not seem to be running, first check to make sure there is power flowing to it. Carefully pull the unit away from the wall far enough to see the power cord and make sure it has not become unplugged. Also check the power cord for frayed wires or other signs of damage. If the cord is damaged, it will need to be replaced before you attempt to use the refrigerator again. Unplug the refrigerator and plug another appliance into the outlet. If the other appliance works, you know the problem lies with the refrigerator. 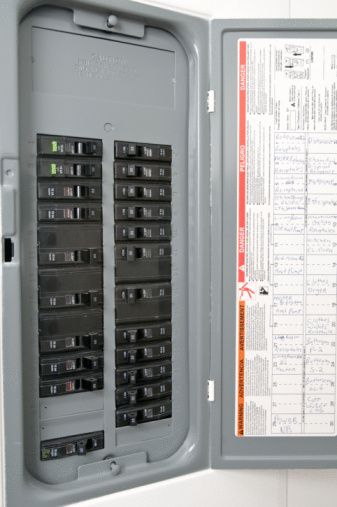 If the other appliance does not operate, check for a tripped breaker, blown fuse or other electrical problem. Make sure the cold controls are turned on. If the appliance is getting power but the refrigerator is still not running, make sure the cold controls are on. Consult your owner's manual for the location of the controls. Check to make sure the refrigerator is sitting level. This step is often overlooked because owners assume if the refrigerator was level when it was installed it will still be level. Moving the unit around may be enough to knock it off level and cause it to operate poorly or not operate at all. Place a level on the top of the refrigerator near the front, but not on the door. Check the level at the front and the side of the unit. If the refrigerator is not level, carefully adjust the leveling feet at the bottom of the unit until it is sitting level again.